The seas are dying and are no longer safe for the siren people. Titans attack and eat the scarce resources. Incurable diseases affect the elderly siren population and living underwater becomes harder and more dangerous each day. When news of a magical stone being the solution to their problems arrive, Alayah is willing to leave her foster mother and her lover behind if that means she can save her region. Soon enough a team of warriors is chosen and departs to recruit a mage to help them find the Legacy Stone. Recruiting the mage won’t be as easy as the elders foretold. Yet, in a turn of the events, Alay finds herself with two gorgeous mages vying for attention and willing to help her in her quest and attend to her every need. Soon Alay discovers that they aren’t the only ones looking for the stone. A powerful mage wants to stop them and use the Legacy Stone for his own dark purposes. 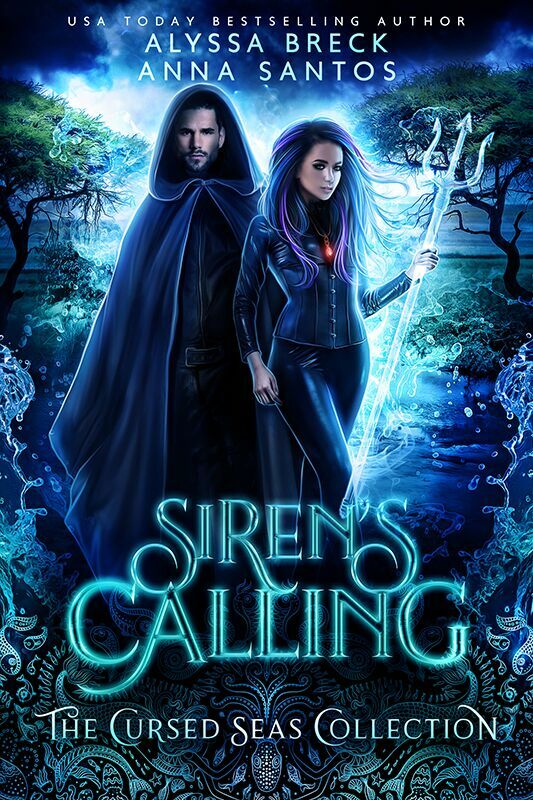 Bonds will be forged, and trusts will be betrayed in this epic quest that leads sirens, humans, mages, and dark creatures into a race against time to find the powerful Legacy Stone and use it for either good or evil.